With CADMaster jewelry design company you don’t need to be an artist to create your custom jewelry design. You may even not know what you really want. Our top jewelry designers will help you to generate ideas of 3D jewelry designs by directly working with you. You can send us your favorite jewelry or pieces that you want to mix with details and our jewelry CAD designers will produce the unique concept idea. We will be in contact through the sketching process to hear your feedback. Any detail can be changed or modified to get the right look for you. As we have a team of modelers as well, all the sketches will be presented in a way that the 3D modeling process will match the original sketch. The sketches will be in right proportion to allow a modeling process afterwards. Whether it is a single piece or a jewelry line we’ll work hard on details to get the exact 3D jewelry design that you need. To order custom jewelry design, just call or write us and our jewelry CAD designers will guide you how to bring your idea to life. Our latest jewelry designs can end by providing you with high quality hand sketches or you may go further and claim 3D CAD modeling services with photo and video rendering. The jewelry rendering process allows to show the model in any combination – gold jewelry, silver jewelry designs with diamonds or any other gemstones. 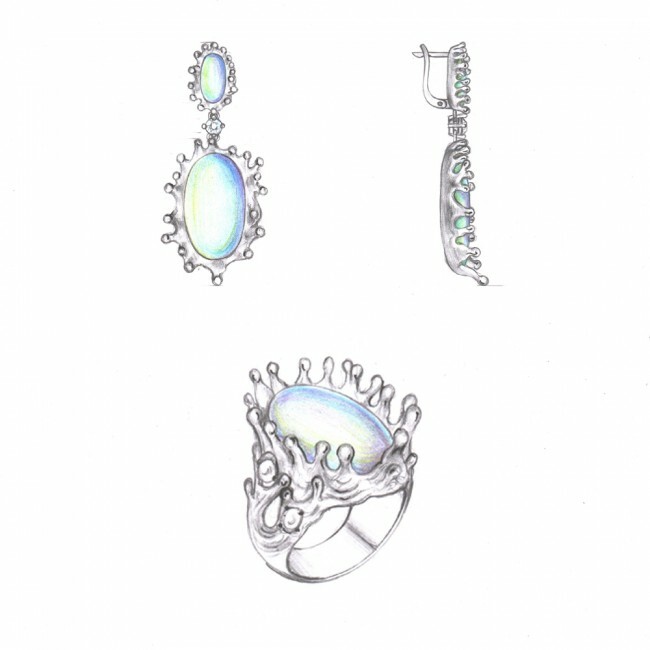 To start your first jewelry sketch feel free to send us an email, or just fill a blank in the “Custom Jewelry” section. Our jewelry CAD designers will contact you within an hour, and direct you throughout your project. All the deadlines and prices will be discussed, and only after your final approval we will proceed to the sketching process.